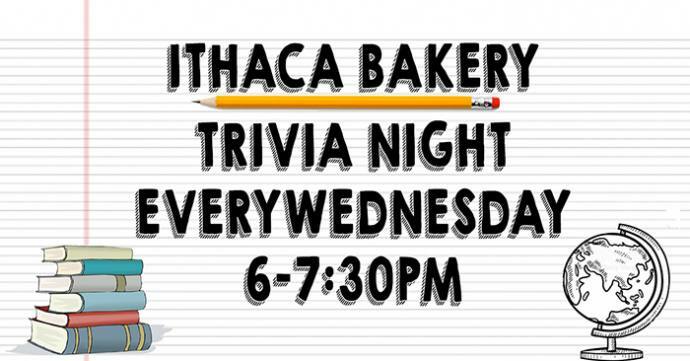 Every Wednesday Ithaca Bakery (Meadow Street) presents Trivia Night hosted by Nitty Gritty Trivia! All rounds will be family friendly general knowledge questions. Free to join and plenty of cool prizes. Happy Hour 5-6pm with $2.00 off all wine, beer, and cider pours. Plus, it’s Wine Down Wednesday! – All wine pours are buy one get one free, 6pm-close!